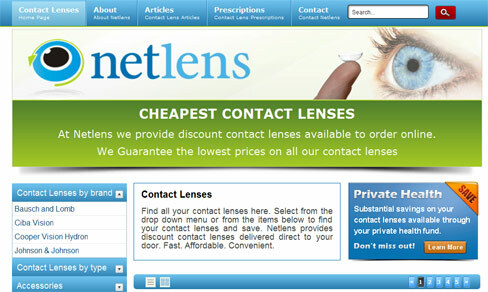 Netlens sells Discount Contact Lenses through their secure web site. Their prices are second to none and the web site is easy to use. Customers have the chance to automatically renew their prescriptions through the easy to use checkout system. The range of contact lenses that netlens has to offer is wide. With a range of Daily Contact Lenses and Monthly Contact Lenses you are sure to find the contact lenses to suit your eyes. There is also information about Private health rebate for contact lenses on their web site and more articles to come.